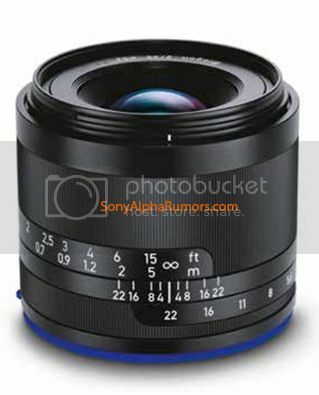 (SR5) New image of the Zeiss Loxia 35mm lens. Announcement on September 1-2. The image on top shows the new Zeiss Loxia 35mm f/2.0 Biogon Full Frame E-mount lens. Just like the yesterday leaked 50mm Loxia this is a manual focusing lens with electronic aperture control. Biogon T* 2/35 ZM (here on eBay). Planar T* 2/50 ZM (here on eBay). I have been told that Zeiss will announce those lenses within the next 3-4 days, likely on Monday or Tuesday! And these will be just the first two lenses of five to come within the next 6-12 months! previous post: (SR5) First image of the new Zeiss Loxia 50mm f/2.0 Planar lens! next post: (SR3) Surprise: There is a high resolution Sony camera ready to be shown at Photokina?